Wuthering Heights Synopsis: The Novel is now considered one of the classics of English literature. The author Emily Bronte had the pen name Ellis Bell. She was born on July 30, 1818, on the outskirts of Bradford in Yorkshire, northern England. All the siblings were very enthusiastic about literature, though the two eldest sisters, Maria and Elizabeth, died at a premature age. Emily, too, died at an age of 30 from tuberculosis. 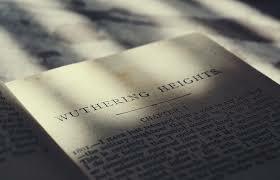 Who wrote only one novel, Wuthering Heights and it was enough to fetch her all the acclamations. Wuthering Heights was rejected during its first publication. The publishers were unable to understand the book or the author. They could not comprehend the complexities expressed in the book and neither did they understand the messages intended by the story. The publishers were totally unaware of the strength of character of the author of the book. Emily Bronte was unlike the women of her time and gauging her characters was thus quite difficult for the readers. The book was first published by Thomas Cautley Newby in 1847. It formed two volumes of a three-volume set, where Anne Bronte’s Agnes Grey was included. The authors of the book were Ellis and Acton Bell, the pen name for Anne. The structure of the novel puzzled the critics. Many had thought that the novel had been written by a man. The novel, though had mixed reviews at the beginning, became an English literary classic afterward. Emily could not enjoy the fruits of her action as she had died only within a year of the publication of her novel. 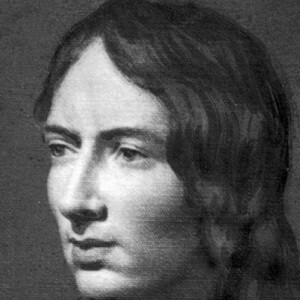 The real name of Emily Bronte was only discovered by the public after her death when an edited commercial edition came out in 1850 with her name on the title page. The story begins with Lockwood, who is being narrated about the story of his landlord, Heathcliff by the servant, Nelly Dean. Lockwood had paid a visit to Wuthering Heights and had a curious and supernatural encounter. He had fallen sick and is recuperating from his ailments. Nelly Dean grew up in Wuthering Heights and looks after Thrushcross Grange. That is why Lockwood begged him to tell him the story of Wuthering Heights. Nelly Dean begins by mentioning that Mr. Earnshaw had brought an orphan named Heathcliff from Liverpool. He had raised him with his own children, Catherine and Hindley. Catherine is affectionate of Heathcliff, but Hindley hates him because Heathcliff had snatched Mr. Earnshaw’s affection. Hindley continues to secretly plot against Heathcliff, but he and Catherine are totally oblivious of this. They are enjoying a happy time until they meet up with the Lintons. The two siblings, Edgar, and Isabella Linton live at the Thrushcross Grange. The Lintons become quite friendly with Catherine but shut Heathcliff out. Being neglected by the Linton, Heathcliff becomes jealous and wants to seek revenge. Catherine, who had spent her time with Heathcliff mostly, starts to spend more time with Edgar as the days pass. Heathcliff gets more and more affected by the turn of events. Heathcliff once overhears Catherine telling Nelly that she could never marry him. Heathcliff leaves Wuthering Heights and goes away for three years. Catherine and Edgar continue their courtship and get married. Their happiness does not last long as they both are quite different. Their relationship would get further strained with the return of Heathcliff. Heathcliff ends up living with his archenemy, Hindley and his son, Hareton. Thus things get more and more complicated. He marries Isabella and soon after, Catherine gives birth to Edgar’s daughter, Cathy and dies. Heathcliff is now determined to take revenge and he is not worried about whom he hurts in the process. He is desirous of getting control of Wuthering Heights and Thrushcross Grange and destroy Edgar Linton and everything he holds dear. He waits 17 years for his vengeance to take effect. In the end, Cathy is forced to marry his son named Linton. Thus he gets control of both Wuthering Heights and the Grange with Edgar’s death. The ghost of Catherine haunts Heathcliff in the midst of all these happenings. The only desire of Heathcliff is to be reunited with his soul mate. The novel ends with Heathcliff and Catherine uniting in death. Hareton and Cathy, who love each other, would be united in marriage. The novel Wuthering Heights is a classic and is a must-read. It expresses the complex thoughts of the people around us and their eagerness to destroy everything in pain.